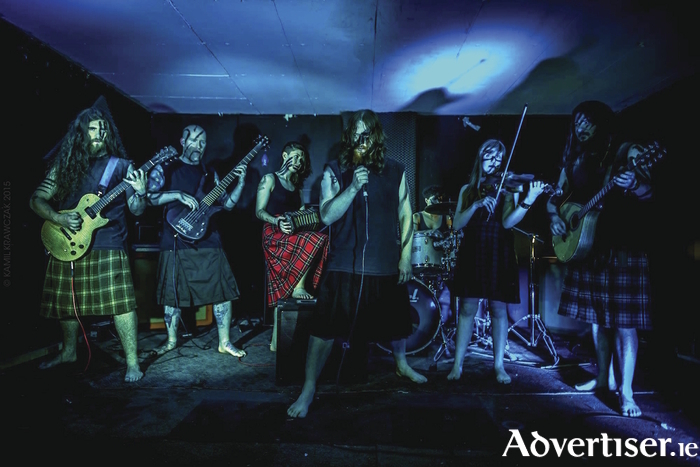 CELTIC FOLK-Metal, Trash Metal, Groove Metal, and alternative rock will sound loud and dangerous when Na Cruithne, Snowblind, Afterlife To Ashes, and Sixth Extinction, play The Cellar Bar. The gig, presented by Flirt FM 101.3's Cranium Titanium Metal Show, will be headlined by Galway Folk-Metal band Na Cruithne. The sextet are renowned for their exciting and intense performances, and music mixing groove and black metal with the traditional music of Ireland, Scotland, and Brittany. They also sing as Gaeilge agus as Béarla. They will play the New Blood stage at Britain's Bloodstock Festival 2017 and the main stage at the 2017 Metal Days festival in Slovenia. Snowblind are a power trio from Dublin, who mix thrash and classic metal. They cite Lizzy, Metallica, Megadeth, and Sabbath (you could have guessed that last one from their name ) among their influences. Afterlife To Ashes have won notice for their theatrical live shows and the singles ‘Dahlia’ and ‘Insects’. Tipperary's thunderously heavy Sixth Extinction will make their Galway debut at this event. The gig takes place in The Cellar Bar, Eglinton Street, on Friday August 4. Admission is €5.